Paperback, 352 pages, 11.8 x 18.7 cm, 4.6 x 7.4 in. Triumph and defeat, highs and lows – nowhere else is life as intensive as on the stage. Behind the scenes things are every bit as dramatic as on stage. 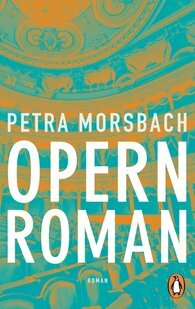 From the diva to the light technician, from the canteen lady to the director, they are all part of a special cosmos that Petra Morsbach has with a light touch focussed on in Opera Novel. Some of the protagonists sacrifice their lives for art, while others ruthlessly place art in the service of their careers. Intrigues, love affairs and grand emotions are part of daily routine – and that includes after the curtain has fallen.